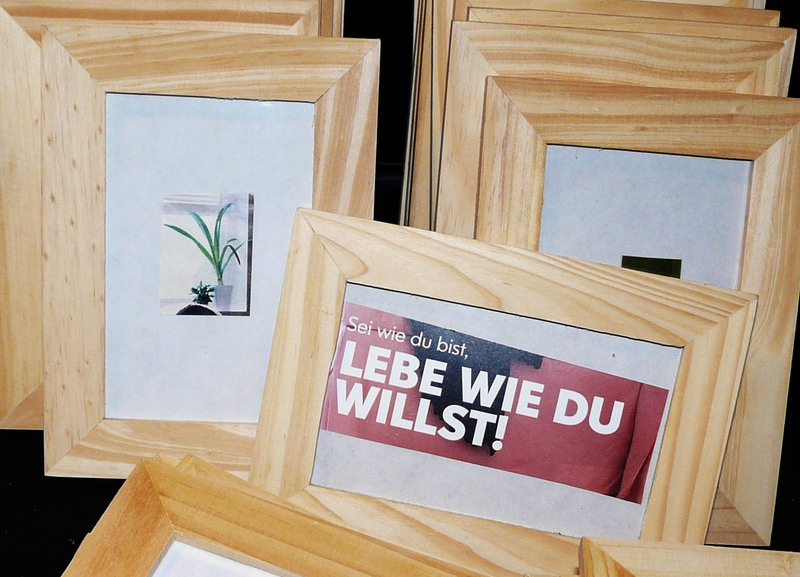 The picture frames show photos of plants that were cut out of the IKEA catalogue 2009 which I received unrequested. The 376 pages of the original catalogue are partly recycled in this work. 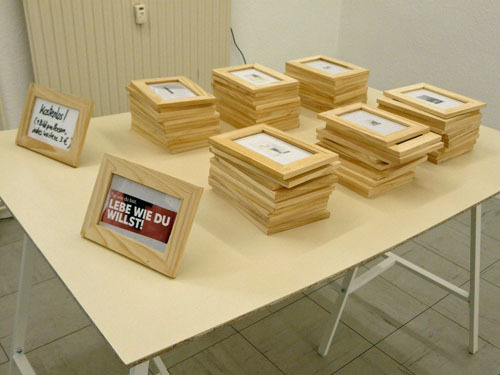 The work was installed in the exhibition "Greenwashing”. Each visitor was allowed to take one picture for free. More pictures could be purchased for 3 €.